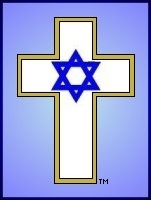 The symbol of The Plant of Renown, the cross of Christ, with a six-pointed star of David superimposed on its center, was adopted by the organization in 1955. The cross is the symbol of Christianity. The six-pointed star is known as the star of David or Israel's star. Christ was born under this star thus the star on the cross represents Christ. 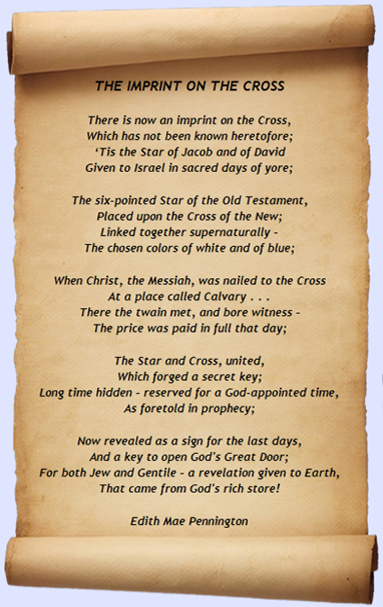 The six-pointed star of the Old Testament, united with the cross of the New Testament, forms the entire Word of God and the gospel of Jesus Christ.Christ came into the world to unite the two. The Old Testament saints looked forward to the Messiah; the New Testament relates the fulfillment of the prophetic utterances concerning Him. The Messiah of the Old Testament is the Christ of the New. A prophecy was given in Numbers 24:17;19, "There shall come a star out of Jacob, and a scepter shall rise out of Israel ....... out of Jacob shall come He that shall have dominion". Christ is that star. Revelation 22:16 states, "I Jesus have sent mine angel to testify unto you these things in the churches. I am the root and the offspring of David, and the bright and morning star".